The clearance of rolling bearing can be adjusted and adjusted. 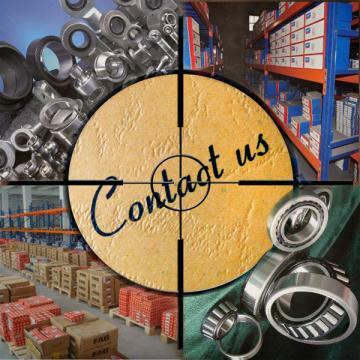 Except for angular clearance ball bearings, tapered roller bearings, thrust ball bearings and thrust roller bearings, the clearance of other categories of bearings can not be adjusted. The bearing with adjustable clearance can be adjusted after installation and use. It can partly compensate for the increase of the bearing clearance caused by the wear of the bearing during the adjustment process, and the clearance that is not adjustable can be checked after assembling and using. According to the inspection results, decide whether to reinstall, repair or replace. There is no big relationship between axial clearance and radial clearance. The axial clearance is directly controlled during installation. Consider individual use or paired use separately. If a single bearing is used, since the bearing is detachable, the axial clearance after installation should be controlled by itself. The axial limit position of the shaft can be measured by the micrometer to measure the displacement of the limit position of the push and pull. If it is used in pairs, it only needs to put the inner and outer circles to the top, so that the clearance can be controlled by the position of the trench in the manufacturing process. In the case of high accuracy and less heating, negative clearance can be used. When measuring, it is a negative clearance. However, if a process is small and negative, if it is too tight, it will cause the axle to burn. If the accuracy is not high, the axial clearance should be controlled between 0.1-0.3mm. It needs to be enlarged again. There are many adjustment methods for axial clearance of rolling bearings, such as gasket adjustment method, nut adjustment method, screw cover adjustment method and internal and external adjustment method. The gasket adjustment method is the most commonly used adjustment method. When adjusting, it is generally not necessary to add gaskets and tighten the screws of the side cover until the shaft can not rotate, so there is no clearance in the bearing at this time. Thickness gauge is used to measure the distance between the side cover and the bearing end face K, then the gasket is added, and the thickness of the gasket is equal to K value plus axial clearance. Special attention is paid to the accuracy of the adjustment by this method, depending on the quality of the side cover and the gasket. A set of gaskets should be made of various gaskets of various thickness. The gaskets should be smooth and clean with no burrs on the inside and outside edges.